Test your balance, strength and concentration while cooling off from the summer heat at the newly opened Aqua Challenge obstacle course. 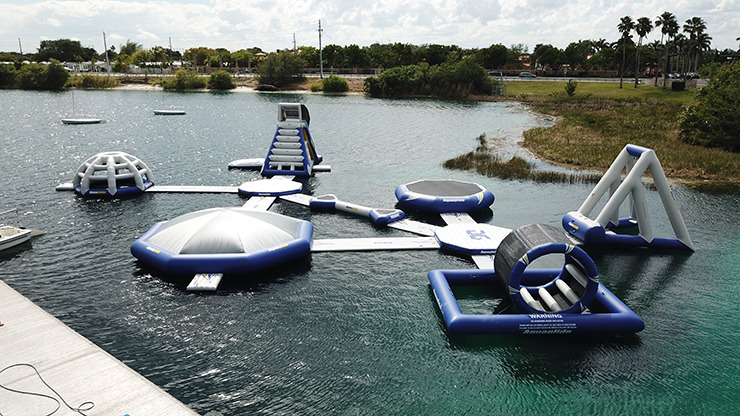 South Florida’s first Aqua Challenge obstacle course is located at Broward College’s Tigertail Lake Recreational Center in Dania Beach. The Aqua Challenge is an 8,000-square-foot inflatable water obstacle course and playground that includes a climbing wall, trampoline, jungle gym, gigantic bouncing dome, a 12-foot free fall climbing wall with a slide and a multi-level, enclosed splash zone. 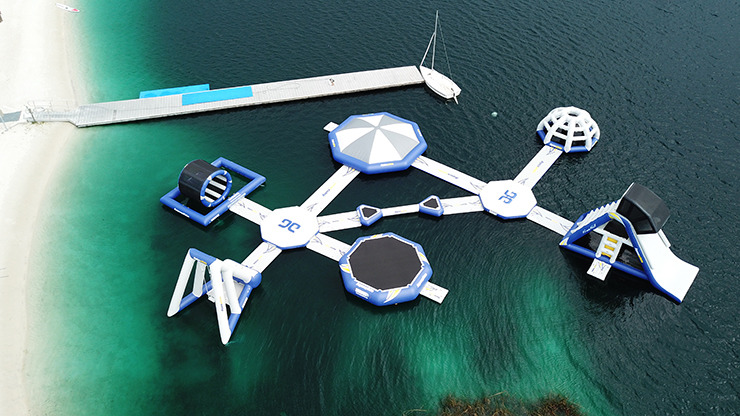 Other special features include a 12-foot-wide Universal Thunderdome, which is an octagon-shaped structure that connects the runway and swim step, and can be used as a meeting hub during obstacles; a Foxtrot balance beam; and a 16-foot swing called the Ultimate Catapult, which launches participants into the water and features an integrated swim platform and lounging area in the inside. The Aqua Challenge is open to the public and is available for team-building programs, private parties and daily use during rental hours. Participants must be at least 7 years old and be able to swim. Sessions are one-hour long.